The record for consecutive games won by a pitcher in a single season has stood for more than a century. 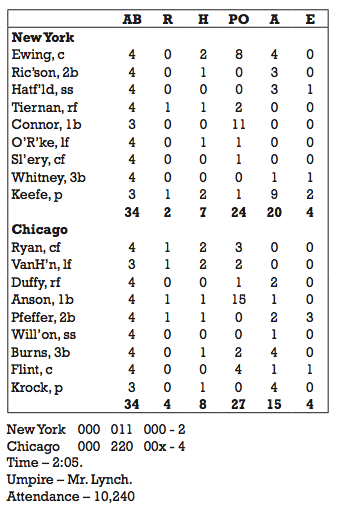 It is 19 games, first set by New York Giants ace Tim Keefe between June 23 and August 10, 1888. The streak ended on August 14 at the Polo Grounds in New York when the Chicago White Stockings defeated him, 4–2. Remarkably, from the standpoint of baseball’s role in American culture, the breaking of Keefe’s streak represented just the second-biggest development involving the Giants and White Stockings that day. Keefe began his streak by defeating Philadelphia. Two days earlier, John Clarkson of the Boston Beaneaters had beaten the Giants ace, 4–2, in Boston. The defeat dropped Keefe’s record for the season to 8-6, and the fourth-place team’s record to 25–21. But over the next two months both the pitcher and team got hot. The Giants won 32 of 39 games between then and August 10, seized first place at the end of July, and opened up a 7½-game advantage by August 10. During his stretch of 19 straight wins, Keefe allowed just 50 runs; the Giants scored 111. Before breaking the record, Keefe tied it on August 8, with a 4–1 victory over Indianapolis. Curiously, both his achievement in tying the record, then breaking it by defeating Pittsburgh, 2–1, on the 10th went unreported.1 It wasn’t as if the old record was buried decades in the past; the National League was in only its 13th season of play. The previous record had been achieved only four seasons before, when “Old Hoss” Radbourn of the 1884 Providence Grays went undefeated from August 7 through September 6 on his way to the still unequaled record of 59 wins in a season.2 Nor was Radbourn unknown to New Yorkers or their baseball press. He had defeated their own Metropolitans of the American Association, three straight games, during baseball’s first “World Series” in the fall of 1884, and was pitching for Boston at the time of Keefe’s feat. For New York’s baseball cranks, the important story of the August 14 game was that the first-place Giants led Chicago, their archrival, by 6½ games as play began. The fact that Keefe had not lost in his last 19 decisions only added to the pre-game interest, with more than 10,000 New Yorkers making their way to the Polo Grounds. The crowd on hand to watch Keefe try for 20 straight included some of the city’s rich and famous. 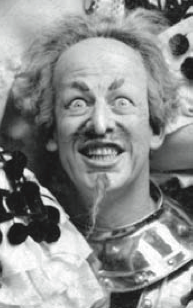 Among them were the cast of McCaull’s Light Opera Company, including Colonel McCaull and such headliners as DeWolf Hopper, Mathilde Cottrelly, and Marion Manola. The next morning the New York Times reported that about 80 members of the opera company “came up to the game in large horse drawn tally-ho coaches, and kept cheering the New-Yorks from start to finish”3 despite the Chicago victory. Keefe’s defeat did not dent his reputation. “In justice to Keefe … it is only fair to state that the defeat was not due to any poor work on his part,” the Times correspondent wrote. “He pitched the ball with his accustomed skill, but the contest was lost by poor work in the field.”4 Keefe allowed only two earned runs as did Chicago’s pitcher, August “Gus” Krock. Keefe’s 19-game winning streak was equaled in 1912 by another Giant, Rube Marquard, who ironically also lost to Chicago in his bid for 20 straight. In the 1930s a third Giant, Carl Hubbell, won 24 straight games, but that string extended over two seasons, the final 16 of 1936 and the first eight of 1937. After Keefe’s defeat the Times correspondent interviewed the McCaull’s Light Opera Company cast, reporting that they were distraught. “DeWolf Hopper was exasperated. … Miss Cottrelly thought it was too real mean, and Miss Manola regarded it as the height of impoliteness on the part of Cap Anson and his men to take the game from the Giants,” the correspondent recounted.5 Despite the defeat, the Light Opera Company honored an invitation it had extended the day before to host both teams to their performance of Prince Methusalem that evening at Wallack’s Theater, at Broadway and 30th Street.6 Besides, their Giants were still in first place by a respectable margin, and would remain there until the end of the season. In formal attire, the members of both teams arrived at Wallack’s Theatre to the cheers of those outside and inside. But the evening’s highlight was still yet to come. During the intermission of Prince Methusalem Hopper strode to the center of the stage. After much applause for his performance up to that point, he began a recitation of a poem that had never been heard publicly before. The audience was in a state of rapture. 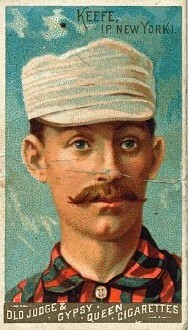 When Hopper finished, the place went wild with cheering.7 Tim Keefe’s incredible streak of 19 straight victories ended on the afternoon of August 14, 1888, but DeWolf Hopper’s streak—reciting “Casey at The Bat” well into the next century (10,000-15,000 times by his estimate)—had just begun. 1. New York Herald, August 11, 1888, p. 8. 2. Achorn, Edward. Fifty-nine in ’84: Old Hoss Radbourn, Barehanded Baseball & The Greatest Season a Pitcher Ever Pitched (New York: Smithsonian Books, Harper Collins Publishers, 2010), p. 308-310. 3. New York Times, August 15, 1888, p. 3. 6. New York Herald, August 14, 1888, p. 8. 7. Walsh, John Evangelist. The Night Casey Was Born (New York: The Overlook Press, 2007), p. 113-137.